Let’s face it! Social networking sites have become a staple of our society and culture. 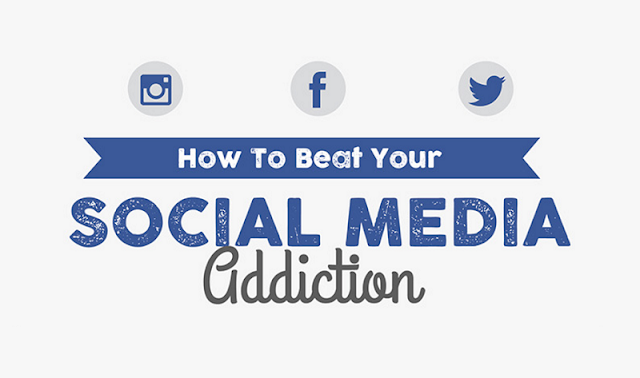 In many cases, social media has become an addiction. The current generation has never known life without smart phones or tablets. They have never known life without Facebook or Twitter, and it is beginning to become evident that technology has effected interpersonal communication. People spend hours each day pouring emotion and exertion into what’s popular on social media or what they’re 876 friends are having for dinner, and they miss each day as it passes. People are not experiencing their lives live anymore! The vast availability of technology has dampened our overall creativity. Work to enhance your living experience by tearing yourself away from the social media apps that rule your daily routine. Look over these few tips to assist in beating your social media addiction. Buy an alarm clock! They are extremely affordable. When you use your cell phone for an alarm, you subject yourself to social media notifications the second you awaken. If you work through your phone often, then you are likely to be met with concerning work materials or coworker drama. Either way, leave your phone alone until you are ready to complete a specific task. This will begin your day with a more positive outlook and give you a chance to decide your vision for the day (as opposed to allowing troubling social media posts to ruin your outlook). Using your cell phone as an alarm clock assures that the first thing you see upon awakening is a screen. It is not a very feasible goal to completely eradicate social media from our lives, so we must learn to control our time spent. Surf social media sites with a purpose in mind. Most people surf the web with no actual purpose in mind. This leads to endless hours spent browsing and taking in useless information. Your mind’s energy can be put to better use. Read a book or call a close friend for a midday chat. Do something that will enhance your mood and make you smile instead of sitting with a crooked neck, tapping buttons while the world passes. Be purposeful in your social media posts. Consider your motive for posting and reread everything you type before posting. Every cell phone is equipped with the capability to turn OFF all notifications. You may not want to completely cut them off, but screen your notifications. Endless spam e-mail notifications, mindless chatter from friends, or even argumentative posts are not a priority. These things have their place, and they do not belong in the midst of a positive productive day. When it is absolutely necessary to work on your phone or handheld device, turn the internet off temporarily. Cell phones are used for far more than yelling at your friend for last night’s unsavory conclusion. Make a phone call! There are far too many personal issues being blasted every second on popular social media sites. You do not need to add to the mess. If you have an issue with a family member, call them. Talk to them in person. Do not lower yourself to blasting all their secrets on social media. It is childish and disrespectful to yourself and your family. Make positive, real-life connections with friends and family. Get out in the garden with Mom and Dad, or take an interest in some other form of nature. Being out in the sunshine is one of the best remedies for a social media addiction.